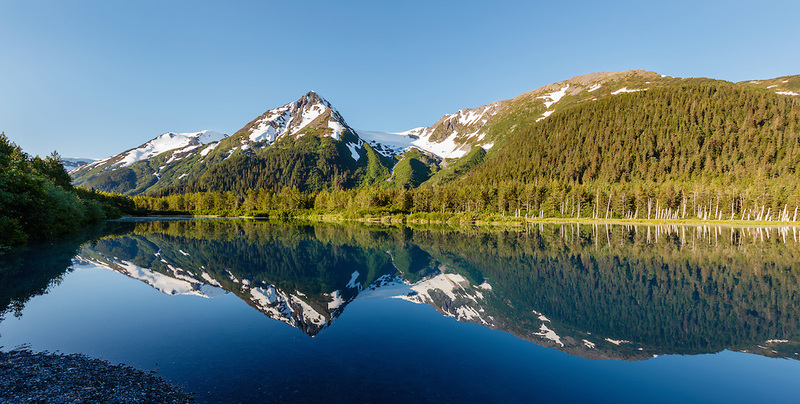 Explorer Glacier is reflected in Explorer Pond in the Chugach National Forest in Portage Valley in Southcentral Alaska. Spring. Morning.